Good morning everyone! We hope you enjoyed last week's challenge. This week we're getting our Glitter or Bling on. For my card I used a TAWS stamp - Hey Cupcake. 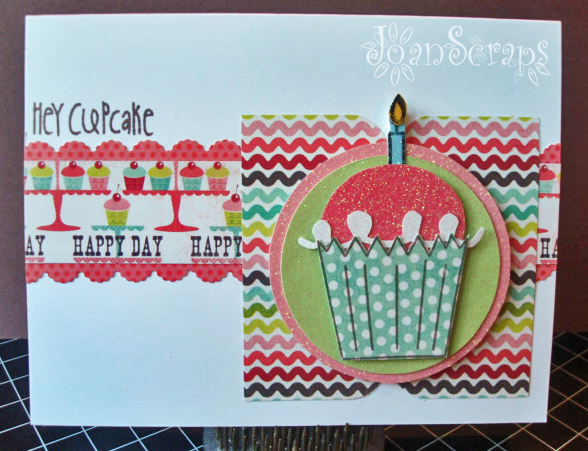 Love this stamp, it's like baking with paper. You can build your own cupcake and top it with a lot of great images. The glitter paper is from a DCWV glitter mat. I love that paper because it's glittery but it has a coat that keeps the glitter to fall off. I also purchase the 4x6 stacks, they are great for card making and for die cutting little pieces. I hope you have a great Thursday and hope to see you playing at the DYSU glitter challenge. Fabulosa tarjeta! Joan siempre eres muy creativa. Tengo unos cuantos papeles de glitters así que pido permiso para copiarme. Joan you are so creative.. I love how you used the stamp set.. You ROCK!! 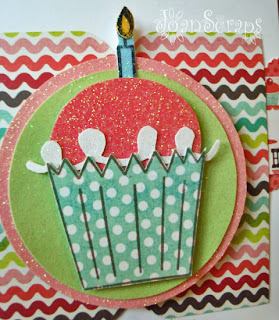 :) so creative..
Bella tarjeta con cupcakes (me encantan los cupcakes tanto los que se comen como en cosas de Scrapbook & Cards). GREAT JOB! This is fab Joan, love the ric rac patterns, and the bright fun colours! 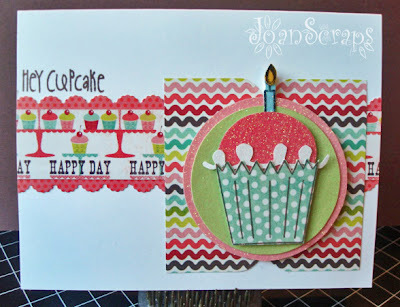 What a fun fun and colorful card. I love the lil cupcake and then sentiment! It's so sweet and adorable.